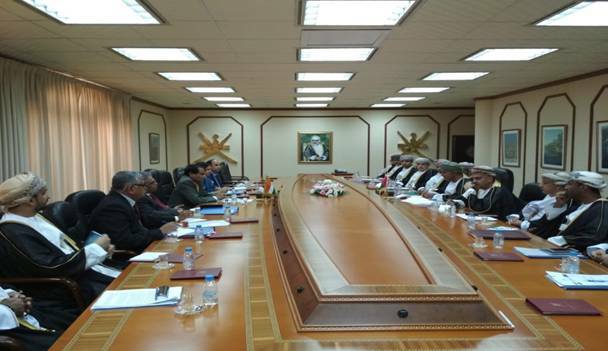 The Union Minister of Commerce & Industry and Civil Aviation, Suresh Prabhu, today co-chaired 8th session of India-Oman Joint Commission Meeting (JCM) along with Minister of Industry, Investment, Trade and Digital Economy of Oman, Dr. Ali bin Masoud Al Sunaidy. Addressing the Joint Commission Suresh Prabhu invited Omani companies to build on their success in India and make investments to benefit from ‘Make in India’ and ‘Invest India’ programmes which are aimed to encourage manufacturing. The Commerce Minister said that the Government of India has launched several investment friendly programmes like‘Make in India’ with a trillion dollar business opportunity in the country. He said that both countries are keen to expand collaborations to their mutual benefit in the fields of energy, health, business, finance and investments, infrastructure, travel and tourism. 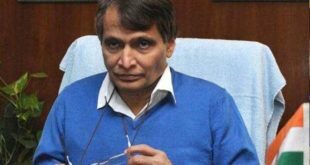 Suresh Prabhu added that apart from official interactions, people-to-people contacts and initiatives by private sector will energise cooperation in various sectors. Areas of discussion in the JCM include cooperation in space, renewable energy, start-up, SMEs, food security, including durable foods and packaging, services sector,tourism sector, exchange of ideas and visit of young entrepreneurs. He said that the Sultanate of Oman is a strategic partner of India in the Gulf and the two countries enjoy warm and cordial relations. The Commerce Minister said strong cultural and economic ties have further cemented these bonds. 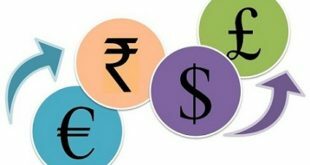 India Oman bilateral trade has registered a growth from US$4131.69 million in 2014-15 to US$ 6703.76 million in 2017-18. India’s export to Oman has grown from US$ 2379.44 million to US$ 2439.46 million in 2017-18. Suresh Prabhu further said that the large, diverse and highly regarded expatriate Indian community in Oman is spread over the entire spectrum of professions and Indian nationals in Oman are well known for their hard work and dedication. Outstanding contributions of Indians and People of Indian Origin in Oman to the strengthening of bilateral relations have been recognized by the Government of India through PravasiBharatiyaSamman Awards. He also expressed gratitude to Government of Oman for the generosity shown towards Indian expatriates living there. He said that India is fully committed to taking this relationship to a higher level and there is a need to hold the JCMs at more frequent intervals to expand and deepen the economic and commercial relationship. Indian financial institutions such as State Bank of India, Bank of Baroda, HDFC Ltd and ICICI Securities and Public Sector Undertakings such as Air India, Life Insurance Corporation(LIC), New India Assurance Co., Telecommunications Consultants India Ltd.(TCIL), Engineers India Ltd.(EIL), Engineering Projects India Limited (EPIL) and National Building Construction Company (NBCC) have presence in Oman.Indian companies have invested in Oman in sectors like iron and steel, cement, fertilizers, textile, cables, chemicals and automotive, especially in Sohar and Salalah. India-Oman Joint Investment Fund (OIJIF), a joint venture between State Bank of India and State General Reserve Fund (SGRF) of Oman, a special purpose vehicle to invest in India, has been operational and the initial corpus of US$ 100 million has been fully utilized. OIJIF has raised another $ 220 million for the second tranche which is being invested.